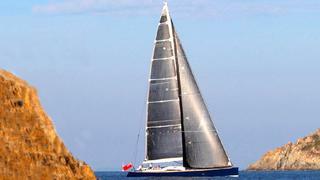 It's 77 sales so far this year as a call to Y.CO brings news that they acted for buyer and seller in the sale of Wally's high-performance 28.8m sailing yacht Magic Carpet 2. Designed by German Frers, she was built to RINA class in 2002 and accommodates six guests in three forward cabins: a master, double and twin plus berths for two crew aft. A 240hp Yanmar engine gives her a cruising speed of 10 knots. Magic Carpet 2 was asking €3.7 million.